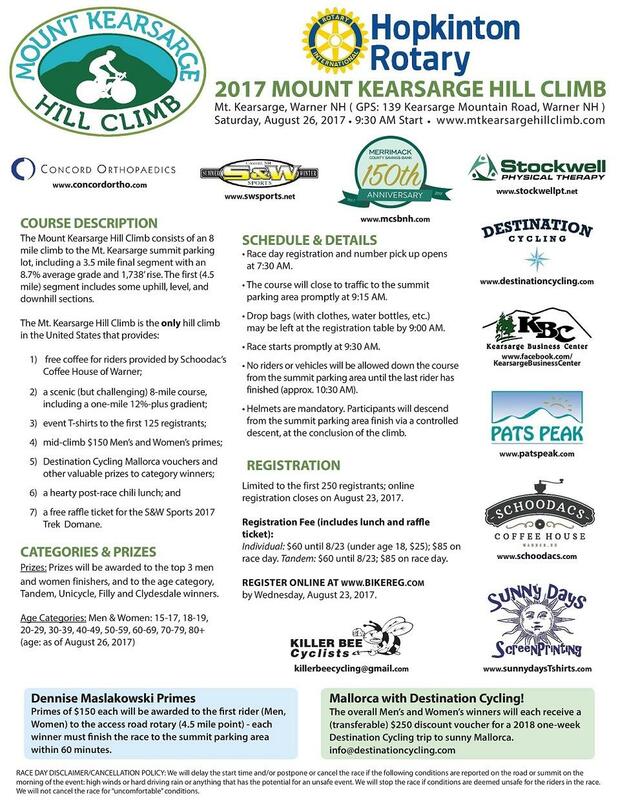 The Mount Kearsarge Hill Climb will be held on Saturday, August 26. Registration and number pick up begins at 7:30 a.m. with the race starting promptly at 9:30 a.m. Register here. $60 per person includes a raffle ticket and lunch. 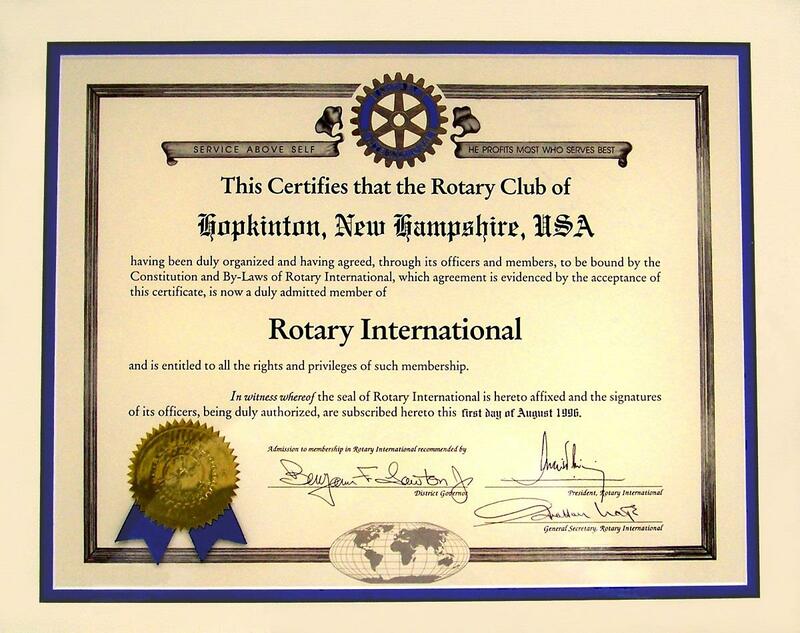 Hopkinton Rotary celebrates its Twentieth Charter Anniversary during 2016. The Club's official charter date is August 1, 1996. Bow and Henniker Rotary Clubs were the sponsoring clubs. Russell Hilliard was the first President, and founding members of the Club include active members David Feller, Sandra Heino, Harry Meinzer, Linda Morris, Peter Powers, Anthony Walker and honorary member Jack Porter. PDG Pete Powers has written some highlights of the accomplishments of Hopkinton Rotary during its first 20 years.